Phagwara is a city and it recently became municipal corporation in Kapurthala district in the central part of Punjab – located in the Doaba region of the Indian state of Punjab. The city is internationally recognized because a large NRI (Non-resident Indian) population belongs to this city The Phagwara has population of 97,864 of which 51,386 are males while 46,478 are females as per report released by Census India 2011. Phagwara was built as a market town. Over time, some people of Phagwara started farming and Phagwara took on a rural character. Phagwara Sharki covers the original rural Phagwara, which now is covered by the area surrounding Sukhchainiana Gurdwara (Sukhchain Nagar) where some people continue to farm the land.In 1772 it became part of the Ahluwalia Sikh Dynasty of Kapurthala. The Sixth Sikh Guru, Shri Guru Hargobind Sahib Ji visited this place in 1635 after winning the battle of Kartarpur and Palahi. Phagu, a great devotee of Guru Ji used to reside here. When Phagu came to know that Guru Ji had come after fighting against Mughals and thought that Mughals might be following him, he was worried and did not serve Guru Ji. Guru Ji said,” Phagu Da Warra, Bahron Mitha Andron Khara”. 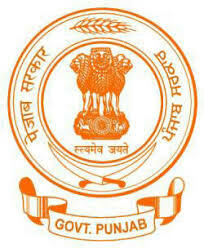 Therefore, Phagwara got its name from “Phagu-Da-Warra”. Narur and Panchatt is the famous and big village in Phagwara. Jama Masjid was built by then Maharaj Kapurthala. Its main door is facing towards east in Mohalla Atishbazan and other west side door is on Gaushala road. There are some places to visit in Phagwara. Most of them are religious places like Shiv Mandir Pakka Bagh, Baba Balak Nath Mandir, Panj Mandiri Temple, Geeta Bhawan Mandir, Gurudwara Sukhchain Sahib, Gurudwara Chhevin Patshahi, Shri Swami Shankar Nath Parvat Math , Mata Mansa Devi Hadiabad , Khera Masjid. Apart from religious places the Hargobind Nagar Chaupati area is very famous that has most of the Outlets and Showrooms of big brands.